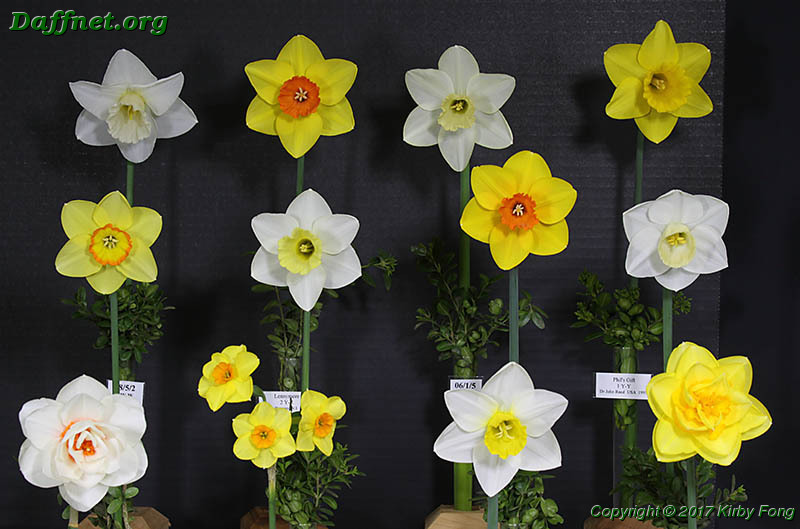 The Portland daffodil show was held at the Crystal Springs Rhododendron Garden April 1 and 2. 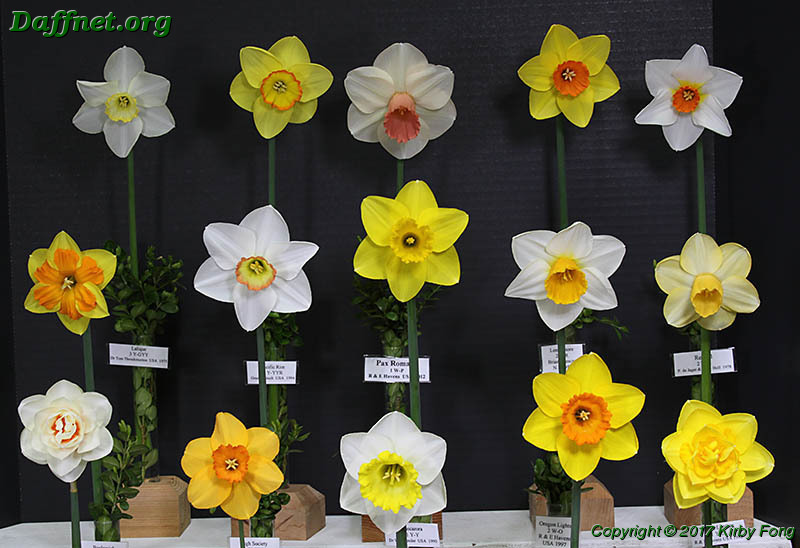 There were 242 entries by 15 exhibitors for a total of 548 stems. The local folks told me the season was later than usual and had not yet peaked although this was their last show of the season. 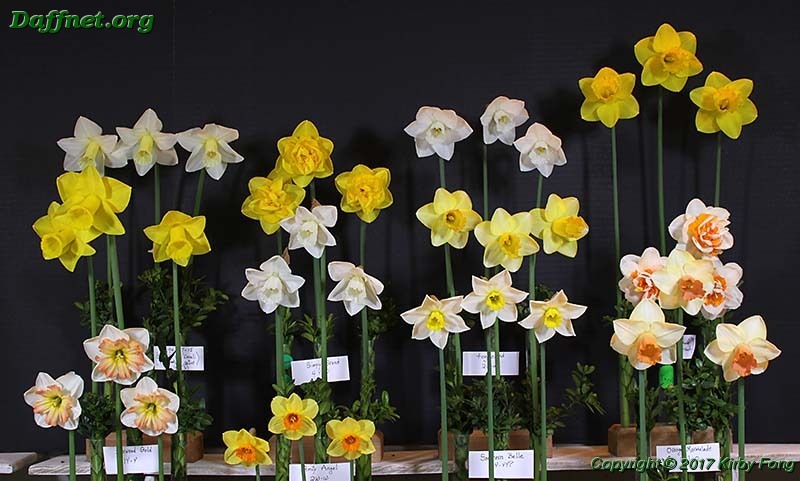 The Gold Ribbon is awarded to the best standard daffodil in the show, excluding the Container-Grown Section. The winning bloom was ‘Fortescue’ 4W-R. The Rose Ribbon is awarded to the best standard seedling exhibited by its originator in the show, excluding the Container-Grown Section. 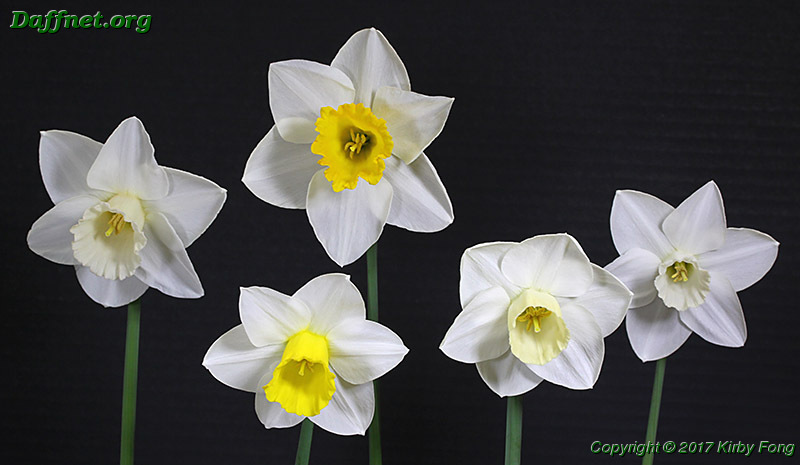 The winning bloom was seedling 06/1/6 2W-Y (‘Chenoweth’ x ‘Canny’). 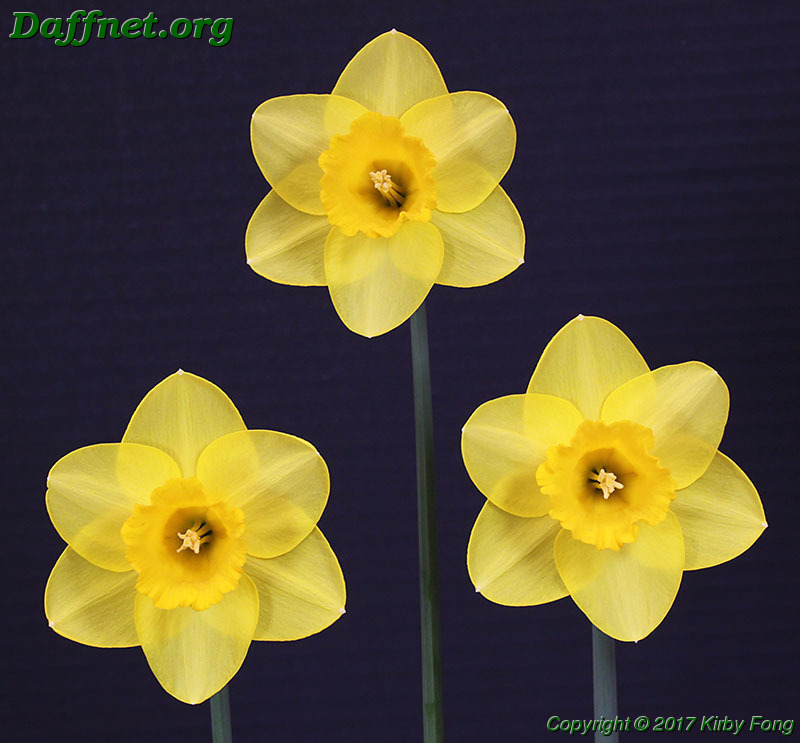 The Miniature Gold Ribbon is awarded to the best miniature daffodil in the show, excluding the Container-Grown Section. 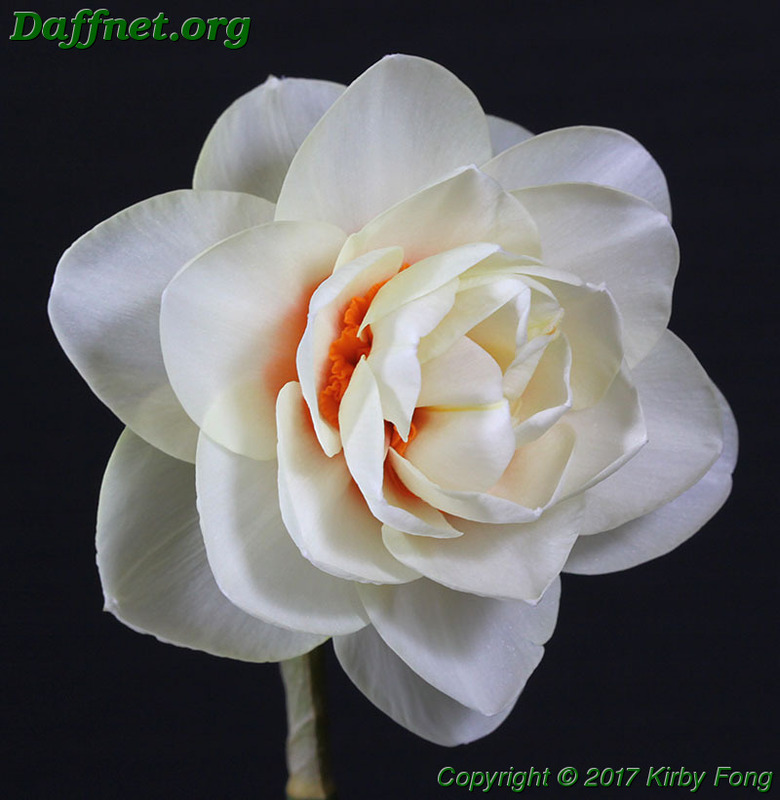 The Miniature Rose Ribbon is awarded to the best miniature seedling exhibited by its originator in the show, excluding the Container-Grown Section. Winner of both awards was seedling V03-43-6 2Y-Y ((‘Tanagra’ x ‘Roundita’) x ‘Cayenne’). 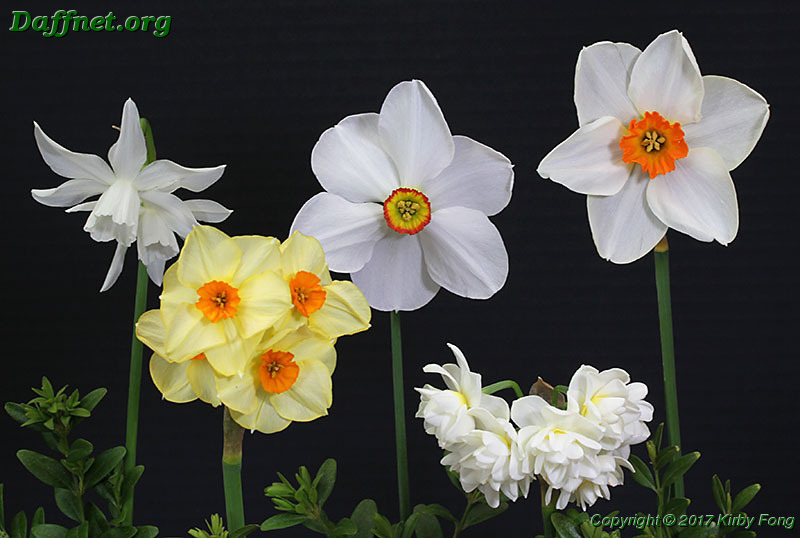 The White Ribbon is awarded to the best exhibit of three standard daffodils. The winning cultivar was ‘Maya Dynasty’ 2Y-Y. 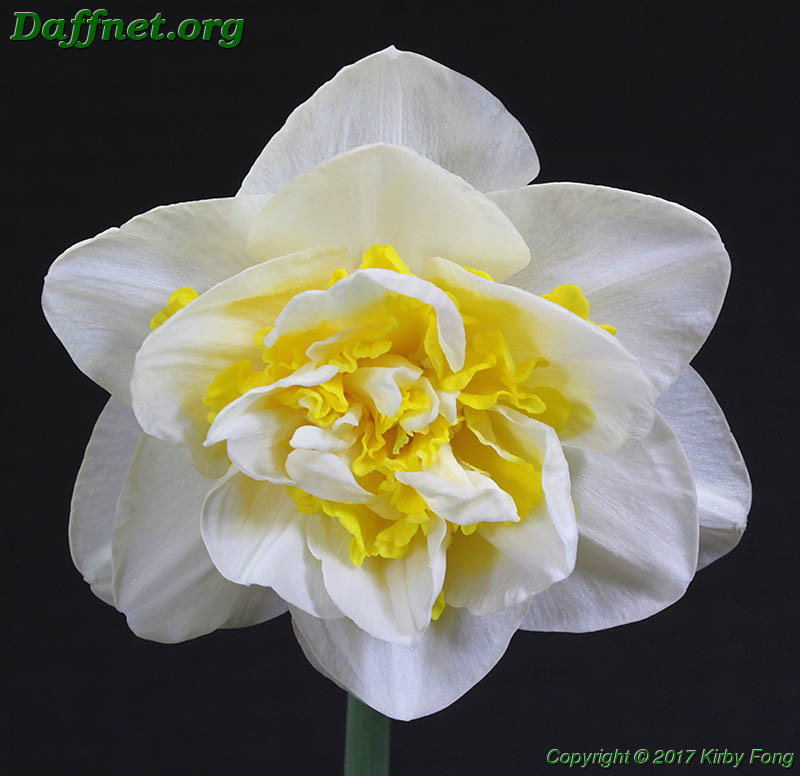 The Best Intermediate Ribbon is awarded to the best intermediate size daffodil in the Intermediates Section or in the standard collections. 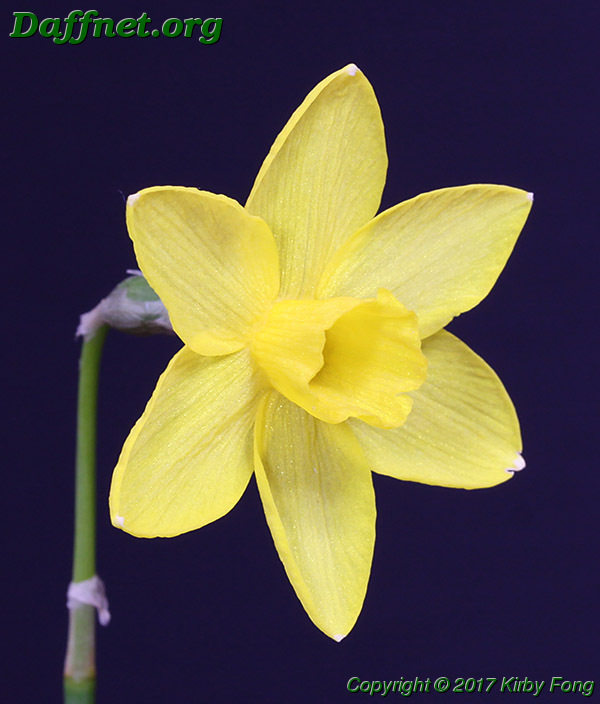 The winning bloom was ‘Signorina’ 2W-GYP. The winner of the Best Intermediate 3-Stem Ribbon was ‘Radjel’ 4Y-R. The best bloom in the Historic Section was ‘Carbineer’ 2Y-O (1927). 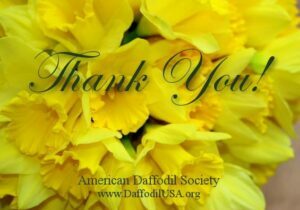 Historic daffodils are those registered before 1940. 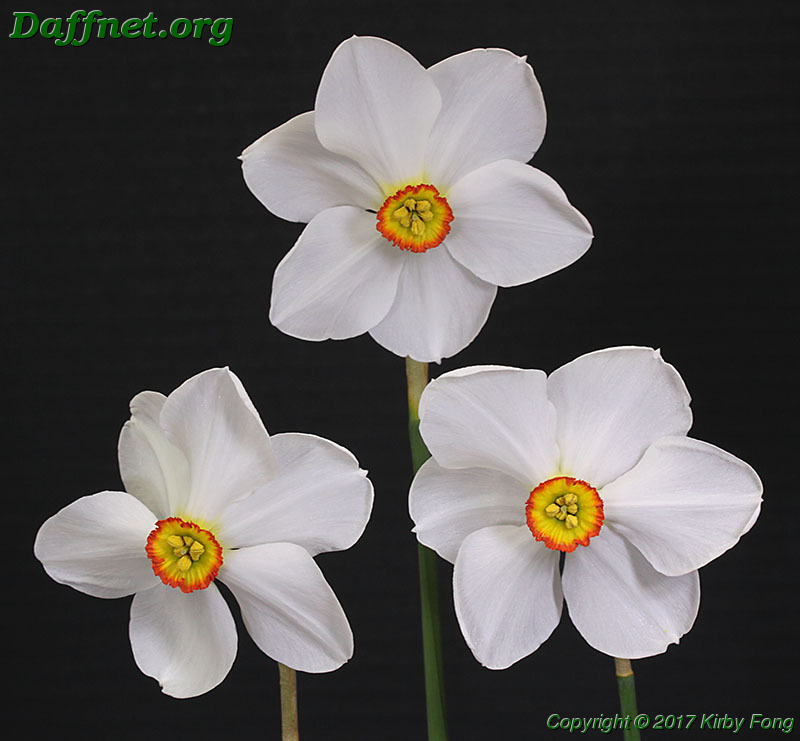 The best set of three historic daffodils was ‘Actaea’ 9W-YYR (1919). 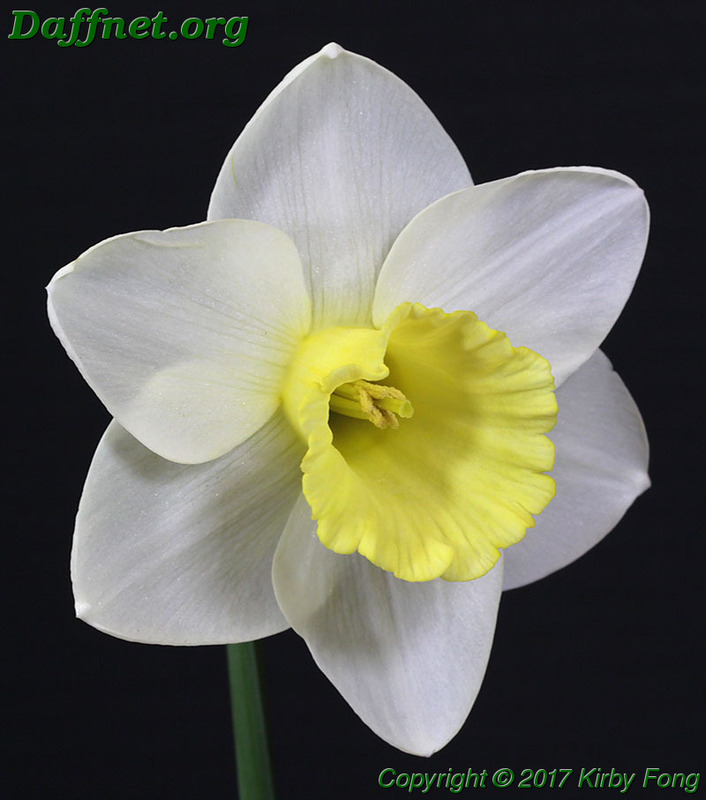 The best bloom in the Classics Section was ‘White Caps’ 6W-Y (1968). 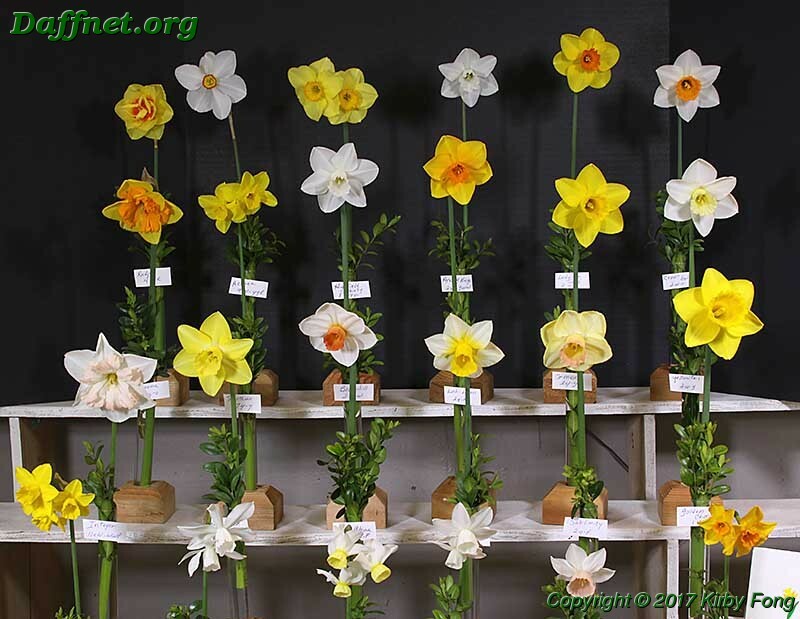 The classics are standard daffodils registered between 1940 and 1969 inclusive. In the Classics Section there is an award for the best single-stem exhibit. The winner was ‘Unique’ 4W-Y (1961). The best set of three in the Classics Section was ‘Avalanche’ 8W-Y (1955). 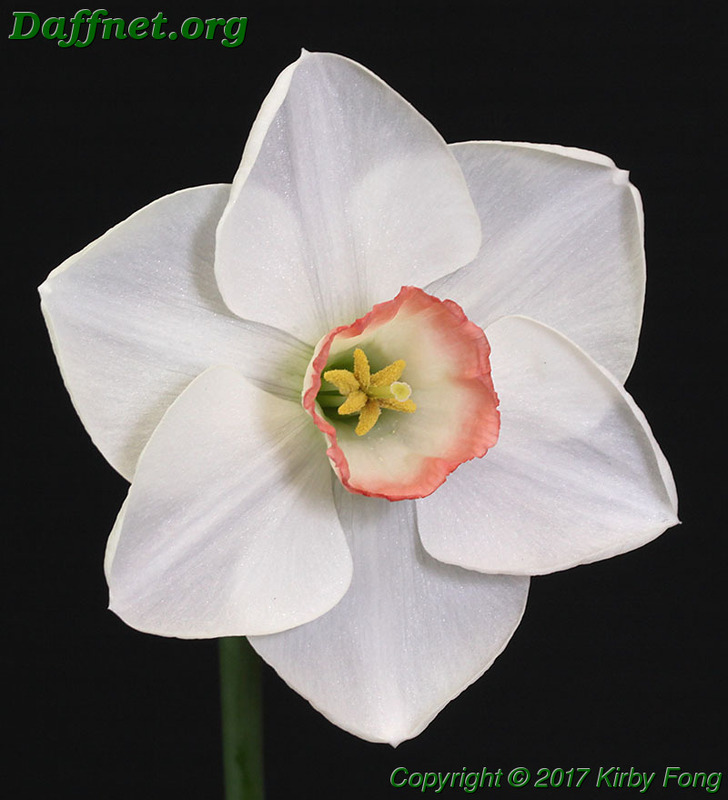 ‘Avalanche’ is a cultivar that straddles the boundary between historics and classics. 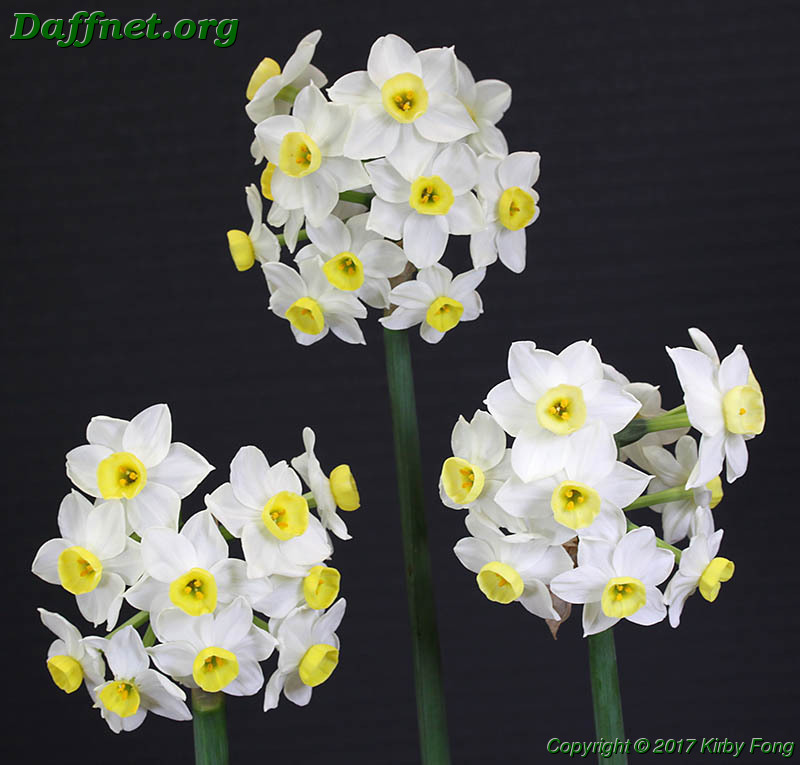 It was registered in 1955, but the comments in Daffseek add that it flowered before 1906. I’ve seen it exhibited in the Historic Section of shows and am curious whether there’s a definitive rule whether it’s historic or classic. The best bloom in the Youth Section was ‘Magic Lantern’ 1Y-O. 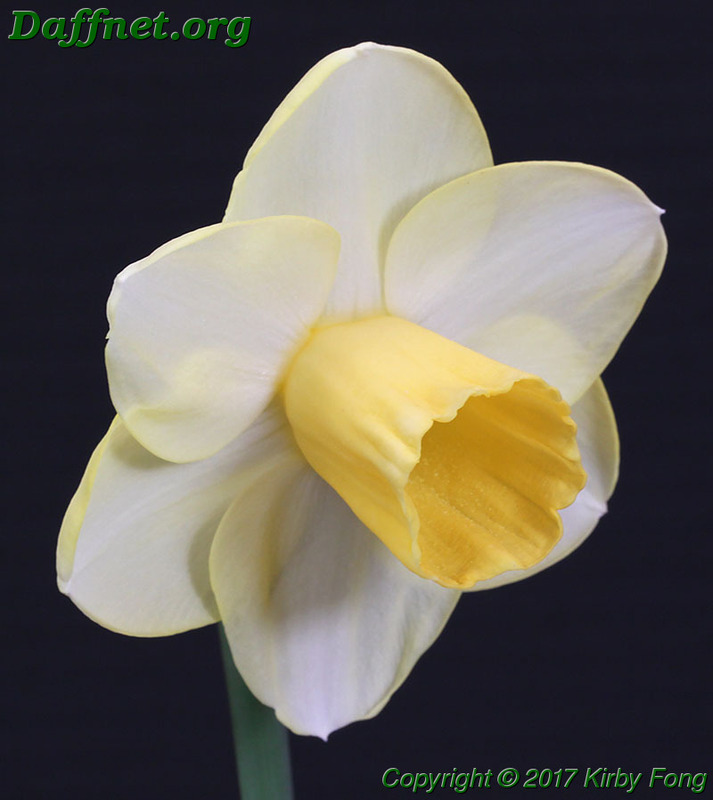 The Small Growers Section is for exhibitors who grow 50 or fewer cultivars or species. 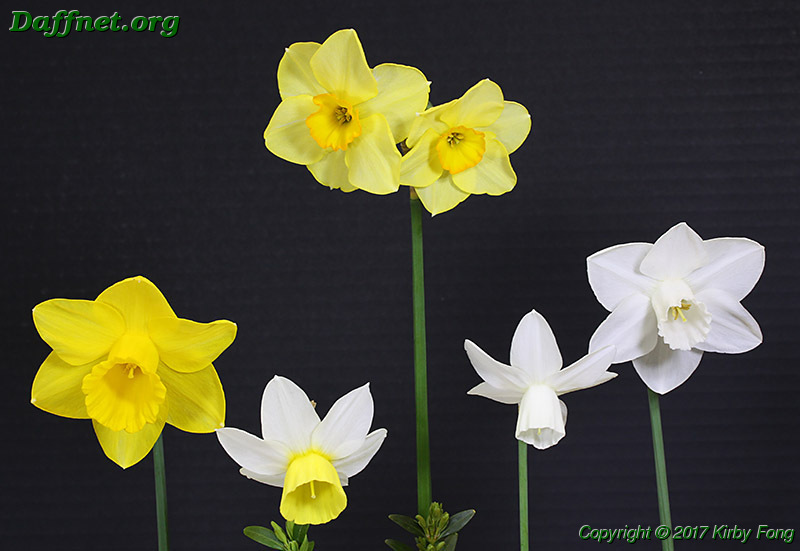 The Small Growers Ribbon used to be restricted to standard daffodils in this Section, but a recent change now allows it to be awarded to miniature daffodils. 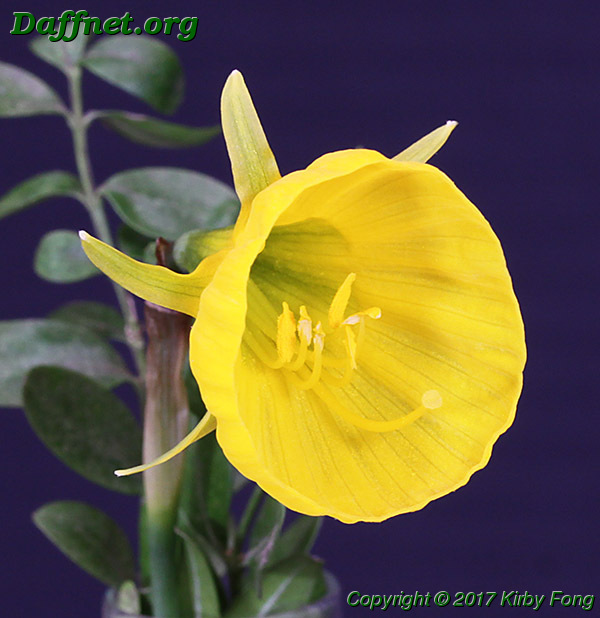 The winner was N. bulbocodium 13Y-Y. Front: ‘Scarlet Gem’ 8Y-O (1910), ‘Erlicheer’ 4W-Y (1934). Front: ‘White Caps’ 6W-Y (1968), ‘Ice Wings’ 5W-W (1958). V04-2-6 1W-P ((‘Pink Silk’ x ‘Camborne’) x (‘Rosy Posy’ x ‘Candlepower’)). Front: ‘Dayton Lake’ 2W-Y (Reed), ‘Geometrics’ 2W-Y (DuBose). Bottom row: ‘Fortescue’ 4W-R, ‘Dan du Plessis’ 8Y-O, ‘Edge Grove’ 2W-Y, ‘Crackington’ 4Y-O. Bottom row: ‘Fortescue’ 4W-R, ‘Stylish’ 2O-O, ‘Bell Rock’ 1W-Y, ‘Hot Gossip’ 2Y-O, ‘Crackington’ 4Y-O. Bottom row: ‘Quail’ 7Y-Y, ‘Thalia’ 5W-W, ‘Jingle Bells’ 5W-Y, ‘Mission Bells’ 5W-W, ‘Katie Heath’ 5W-P, ‘Indian Maid’ 7O-R.
V04-14-16 2Y-O ((‘Tanagra’ x ‘Gipsy Queen’) x ‘Cayenne’). The annotations [ex Salmon] and [ex Bankhead] mean the particular bulbs were from Michael Salmon and Delia Bankhead. Since the species are variable, the annotation points out the source of the bulbs used in the crosses. 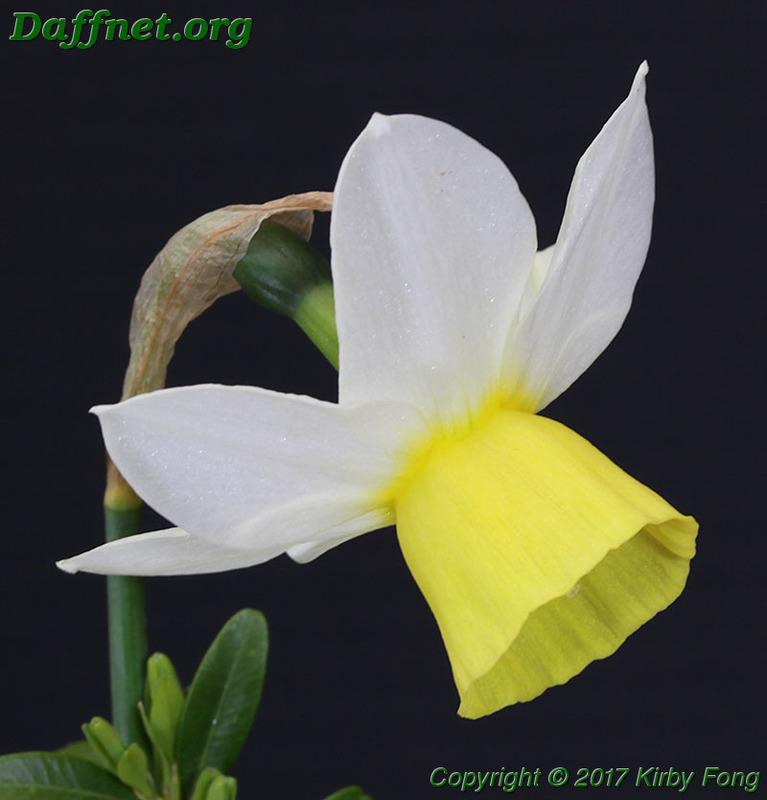 I don’t know what CC4/94 is or means, but I suspect it’s a seedling from Colin Crotty in New Zealand who has produced several miniature white cyclamineus daffodils. V99-24-1 6Y-Y ((‘Norwester’ x ‘Snook’) x N. cyclamineus). V06-64-3 2Y-P (‘American Heritage’ x (‘Redstone’ x ‘Memento’)). Finally the Silver Ribbon is awarded to the exhibitor who wins the most blue ribbons. It was Margaret Pansegrau with 11. If an ADS award was not mentioned in this posting, it means there were no eligible entries for it.